Rhode Island, in the 1840s was awash in political and social turmoil. The Rhode Island constitution had very stringent requirements for voting—only white, male property holders had the right. This meant that only about one third of the white male population could vote. Thomas Dorr started a movement, based on the language of the Declaration of Independence, asserting that all power belonged to the people. In 1841 the Dorrites drafted the Peoples Construction that included a Bill of Rights and granted suffrage to all white males. It was put to a vote and overwhelmingly ratified when all were allowed to vote. An incensed coalition of conservative Whigs and Democrats, formed the Law and Order Party and had the constitution declared illegal by the state Supreme Court. But the Dorrites had already set up a rival government, based on the new constitution, with Thomas Dorr as governor. When they attempted to capture the state arsenal in Providence, the Dorrites were defeated and Thomas Dorr fled the state. When he returned he was arrested and sentenced to life in prison. At the same time Rhode Island was experiencing a rapid influx of Irish immigrants seeking work in the state’s textile mills. While the new workers were essential to the mills and to Rhode Island’s economy, they were not considered equals by the ruling elite. It is no surprise that Irish immigrants overwhelmingly supported the Dorr Rebellion. 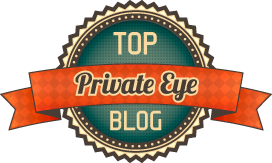 Amasa Sprague was a member of the ruling class. 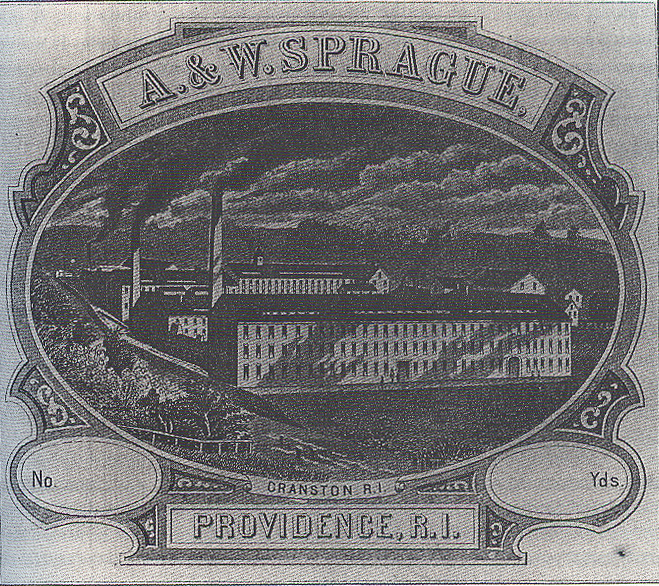 Together with his brother William—who in 1844 was a U.S. Senator—Amasa Sprague owned a textile business started by his father William Sprague, Sr. The Spragues owned several cotton mills in Rhode Island, but their most profitable factory was the print works in Spragueville which printed calico patterns on cloth. 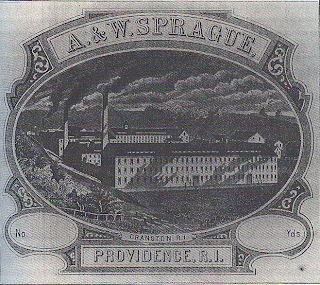 The A & W Sprague Company employed most residents of Spraguesville as and owned the tenements they rented and the company store where they shopped. Sprague was actively opposed to the Dorrites and was instrumental in Dorr’s arrest.When Sprague' body was found shot and beaten, the murder was first thought to be a political assassination by Dorr’s followers. But since the arrest of their leader, the Dorrites had been in disarray. 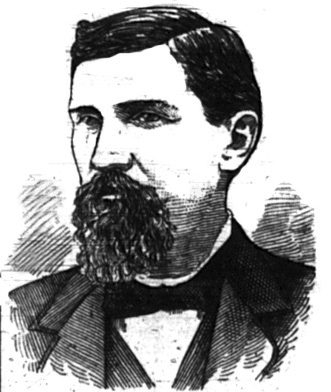 A number of individuals had personal grudges against Amasa Sprague; the killer was likely one of them. One name kept coming up in the early investigation—Nicholas Gordon. Nicholas Gordon came from Ireland in the mid-1830s with enough capital to open a general store. The store, located about a mile from the Print Works proved profitable and in 1843 he built an addition on his house and sent for the rest of his family, his mother Ellen; his three brothers John, William and Robert; his sister Margaret; and William’s seven year old daughter. One reason for the success of Nicholas Gordon’s store was the license he obtained in 1840 allowing him to sell bottled liquor. In 1842 he was granted an ale-house license allowing him to sell drinks by the glass. 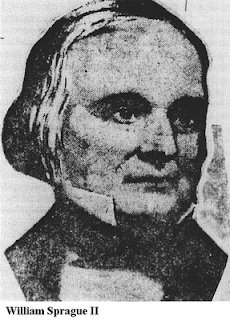 The licenses had to be renewed every three months and he had no trouble until the summer of 1843 when the town council, under the influence of Amasa Sprague denied his request. Sprague was unhappy about his employees getting drunk during working hours and he blamed it on Nicholas Gordon’s store. This was the beginning of the animosity between Sprague and Gordon and the reason Nicholas Gordon and his brothers were suspected in Sprague’s murder. An examination of the body showed that Sprague had been shot in the wrist then hit twice on the head fracturing his skull—either blow to the head could have killed him. The following day a town meeting was held (excluding those without property) and vigilance committees were formed in several school districts to investigate. Additionally, the Sprague family offered a $1000 reward for information leading to the conviction of the murderer. Nicholas and John Gordon were arrested and the house and store were searched. No gun was found though it was known that Nicholas owned a gun. Other members of the Gordon family were arrested, including the other two brothers and their mother, as well as a friend of Nicholas named Michael O’Brian. Also arrested was Nicholas Gordon’s dog because dog tracks had been found near the body, and the dog wore a collar of jagged metal that could have caused some of the wounds on Sprague’s throat. Nicholas, John and William were held for the murder of Amasa Sprague, the rest (including the dog) were released. The trial of John and William Gordon was taken very seriously. There would be four presiding judges, all members of the Rhode Island Supreme Court. The Irish Catholic community of Providence rallied behind the Gordons, raising a substantial fund for their defense. 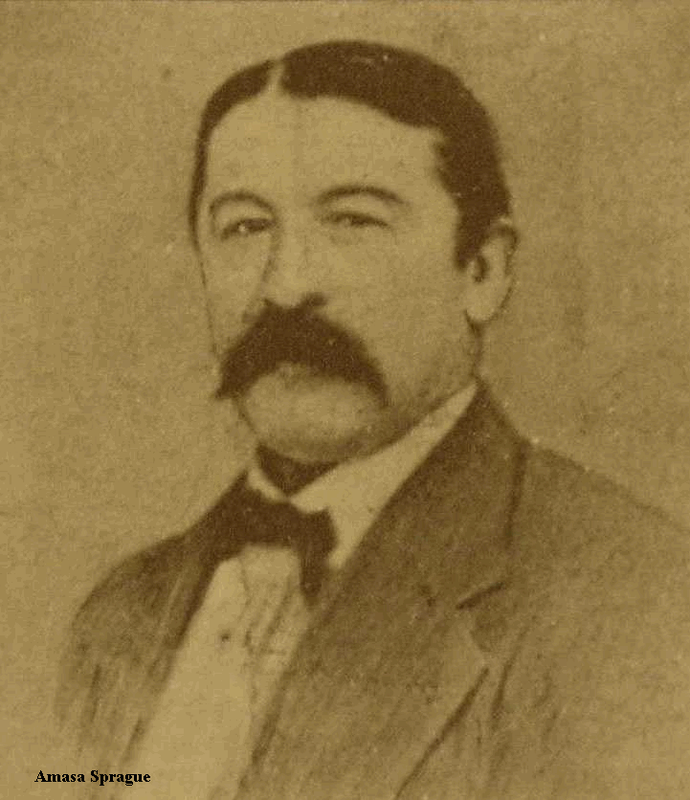 Thomas Carpenter, leader of the defense team, had been an ardent supporter of Thomas Dorr’s suffrage movement. William Sprague resigned his Senate seat to oversee the prosecution. In the courtroom the prosecution team would be led by Rhode Island Attorney General Joseph M. Blake, a leader of the Law and Order Party. The trial would mirror the Dorr Rebellion. This decision was not used as precedent in any later trial. The prosecution proved that Nicholas Gordon did own a rifle and it was now missing. John Gordon had been seen holding the rifle. The coat was identified as belonging to Nicholas but had been more recently seen as the dog’s bed. John had also been seen wearing the coat. It would be nine months before the full import of this statement was revealed. On October 13, 1845 Nicolas Gordon’s trail began. Since he had been the focal point of his brothers’ trial, his own followed much the same course. The difference was that, just as his threats were used against John and William, John’s conviction was used against Nicholas. His trial also lasted nine days but ended in a hung jury—eight for conviction, four for acquittal. Before Nicolas Gordon’s second trial, and just prior to John Gordon’s scheduled execution William Gordon revealed the reason that Nicholas’s rifle was missing. When he first learned of Amasa Sprague’s murder he hid the rifle and a pistol owned by Nicholas under the floorboards of the attic of their house. He thought it would keep suspicion away from Nicholas but hiding the weapons had the opposite effect. John learned what his brother had done during the trial. It is why he blamed William for his conviction. 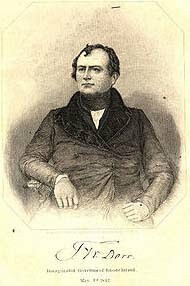 Regardless of the new information, John Gordon was hanged on February 14, 1845. Nicholas Gordon’s second trial began on April 7, 1845. The defense did not use the information about the hidden guns because it would have meant putting William on the stand. His answers on cross-examination could not be predicted. Instead they attacked the credibility of the prosecution’s witnesses who were now not as sure of their stories as they had been six months earlier. But the result was much the same—hung jury, this time three for conviction, nine for acquittal. Nicholas Gordon did not have a third trial. More than fourteen hundred of John Gordon’s countrymen joined the funeral procession to the North Burial Ground in Providence. Many had come from Massachusetts and Connecticut to protest the injustice of the execution.Instead of following a direct route to the cemetery, the procession turned down Benefit Street where it would pass the statehouse and several aristocratic homes. Nicholas Gordon was released on bail, but lived under constant threat of another trial. He died in debt on October 22, 1846. William Gordon was sentenced to debtors’ prison on June 18, 1850. In 2011, a resolution requesting the posthumous pardon of John Gordon was passed by the Rhode Island Senate and House of Representatives. On June 29, 2011, Governor Lincoln Chafee granted that pardon. The ceremony was held in same room where John Gordon was tried and convicted. The real killers of Amasa Sprague have never been identified. It was a Foul Deed. Hoffmann, Charles and Tess Hoffman,. 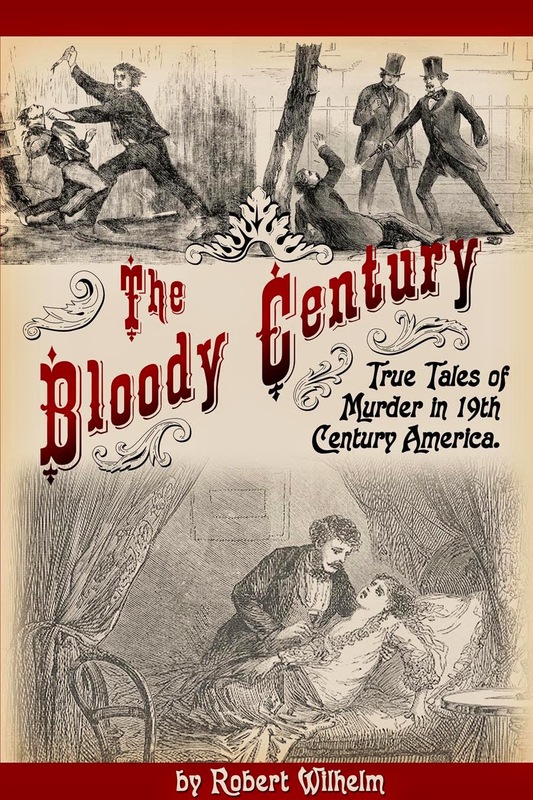 Brotherly Love: Murder and the Politics of Prejudice in Nineteenth-Century Rhode Island . Boston, University of Massachussetts Press 1993. Hi just an fyi.. It's Spragueville not Spraguesville :) I grew up near there. Thanks, I'm famous for my typos. Any time :) I am a big fan of your blog and I got all excited that you had an old murder from RI! How typical that when the truth comes out that proves that the prosecution got it wrong, they would rather continue with executions and trials then admit they made a mistake and property serve justice by finding those actually guilty. One question though, you wrote that Nicholas Gordon’s dog was arrested because of evidence at the crime scene, but you did not mention if he was tried and if so the outcome of the trial. LOL But seriously, what did they do with the dog they "arrested?" I mean, really, they arrested a dog? My guess is he was probably "put down." Which back then probably meant a bullet to the head. Do you know what happened to N. Gordon's dog? In the book _Brotherly Love_ by Charles and Hess Hoffmann, a defense attorney is quoted as describing the dog as "too feeble and harmless to hurt a living being - who can but just walk, and who has not a tooth left in his head." I couldn't find any other mention of the dog. They released the Gordon brother's mother, my guess is she took the dog home with her. You never know, though, they were pretty spiteful. Thanks for posting the link. I was wondering why there was so much interest in this case recently. I will keep an eye on it and update the post when they reach a conclusion. I am building a segment of my website that is a directory to all information regarding the proposed exoneration of John Gordon. It will contain links to any information that I find, including this site, regarding the history of this murder, the current legislation to pardon him, the experts who will testify, the news coverage, and Ken Dooley's play, "The Murder Trial of John Gordon", that ran for the past seven weeks at the Park Theatre in Cranston, Rhode Island. The site will be updated as we go through the exoneration/pardon process. Thanks Peter, I have added a post about the motion. Best of luck. How timely. 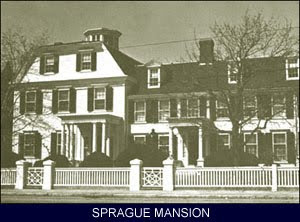 The Second Street Irregulars are planning a tour of Sprague Mansion for the end of the month. Wow what a story! Thanks Robert! My name is john fitzpatrick. I grew up in St Ann Cemetery at the corner of vallone Road and Randall's pond. my father Joseph Fitzpatrick was superintendent from 1929-1963. The Sprague landscape was our backyard and and an intriguing setting to grow up in knowing the history connected. Amazing what you have put together here!